We are joined by the wonderful comedian, writer, and actor Kate Berlant. She's on the show to talk about the underappreciated Jonathan Glazer film, Birth. April and Kate dive right into this truly unique movie about a woman who's dead husband may have come back as a 10 year old boy. 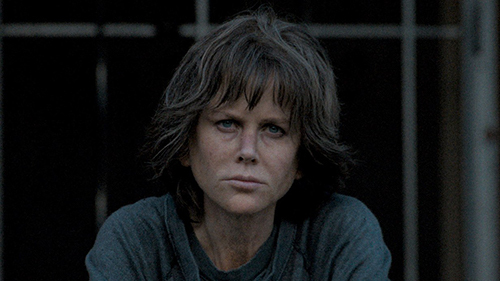 They make the case for this being Nicole Kidman's best performance as the role is so perfectly catered to her. They discuss the inspired vision of Jonathan Glazer and how he was the only one who could make this film. The two talk about Kate's role in Sorry to Bother You and her short film series 555. Kate elaborates on what goes into writing comedy and the kinds of white people she makes fun of. Plus, she explains why she feels compelled to make silly faces as a form of protest. You can watch 555 on Vimeo now.